Higher Education is an industry undergoing a fundamental transformation. 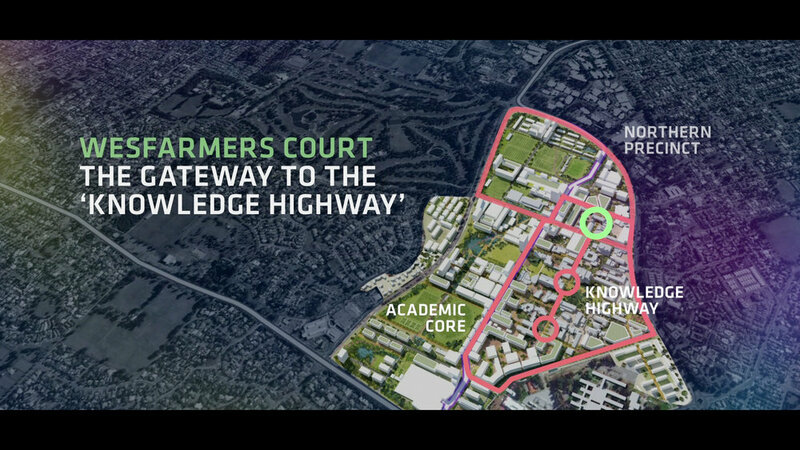 To tackle this, Curtin University is building upon its physical and intellectual capacity to create an economic and innovative urban hub — a university city at Curtin’s Bentley campus. This visionary project would completely transform and redefine the possibilities of a university's place within society. 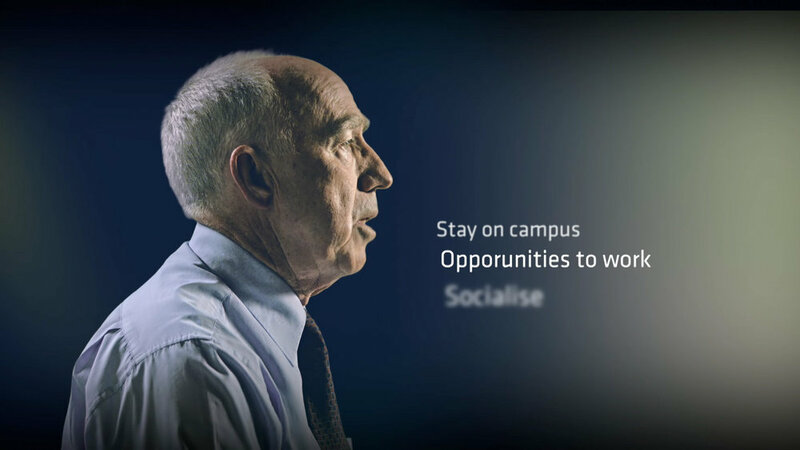 Articulate the multi-faceted vision for the future of Curtin University, and bring this to life for the vast stakeholder groups and general public. A visionary brand and framework which brought the community and organisation along for the journey. This resulted in successful buy in, with stage one of the project underway. what if there was a city that’s only purpose was to innovate? 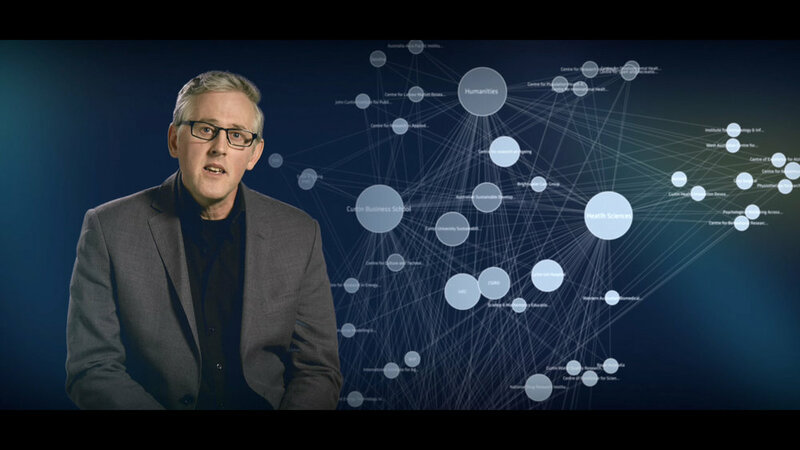 The Internet has changed the way education is distributed and costed. Aging populations are diverting government funding from higher education to health services like never before. Increased competition and the high Australian dollar have made it increasingly difficult to maintain the levels of international student enrolments. It is estimated that 50% of universities will close over the next 10 years. So how can Western Australia’s largest university not only survive, but continue to thrive, in this brave new world? 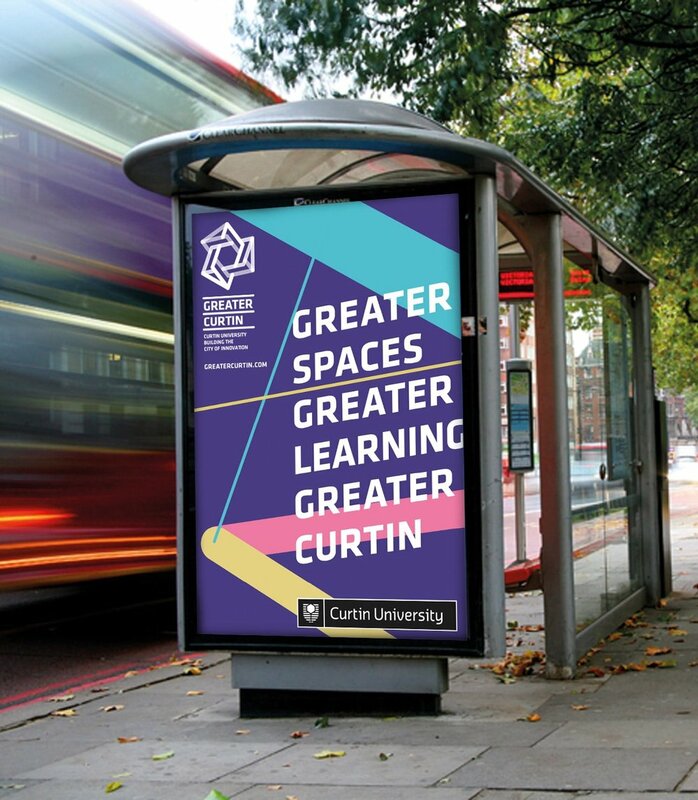 In 2013, Curtin University looked to the future with a bold vision; to create the world's first city of innovation. To birth a city from the roots of an established university created a complex challenge that involved unifying thought and messaging, both on an internal stakeholder level and then out into the public realm. The project was undertaking so substantial that a comprehensive network of stakeholders were invited on board to produce the Master Plan to establish a vision for the next 20 years. Block created the name and identity of what would become known as the Curtin City Project Group (CCPG). Defining this group’s tone of voice, its intent and visual identity became imperative for uniting all the individuals and groups within the Master Planning team under a banner of a common language and goals for the project. The CCPG comprised over 30 individuals under nine separate organisations, which spanned the disciplines of architecture, Master Planning, economics and urban infrastructure. In exploring the common ideas surrounding the city's planning, three core themes emerged as pertinent to the project; fire and flow, technological optimism, as well as integration and connectedness. Block ultimately settled upon the name Greater Curtin as one that would own its physical space but did not suggest set, impermeable borders. We believed the word ‘greater’ would speak to a community that looked outwards and into the communities it was surrounded by. Block demonstrated the ways in which we could use Greater Curtin in all manner of devices to reinforce the original positioning of the university and the city being built around it; where the two in fact, become one. The word also allowed for an extension of the name ‘Greater Curtin’ into messages regarding Greater Connections, Greater Technology, Greater Sustainability and so forth. When paired with the tagline “Creating the City of Innovation” the name speaks to a future of growth and inspired thought. 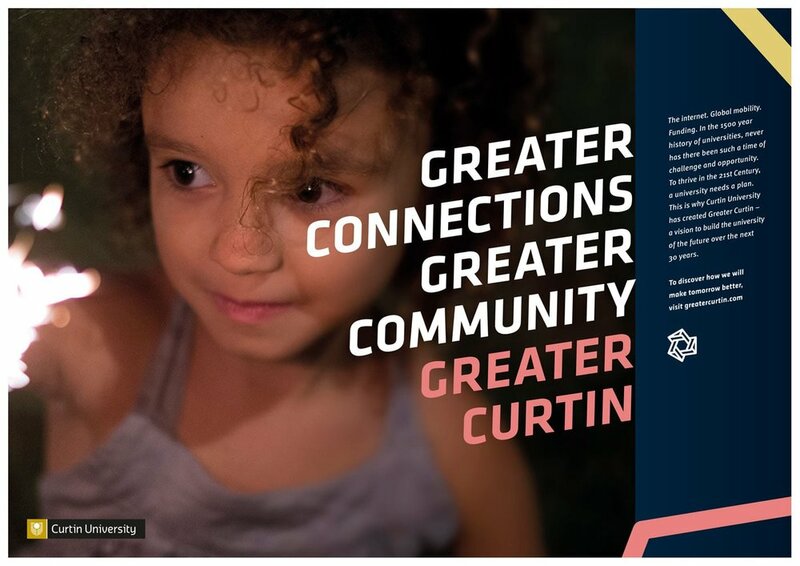 The Greater Curtin vision document outlines the broad design outcomes of the Master Plan and also contains a more intimate day in the life story which describes how the city will feel to those who will engage with it. Parts A, B and C of the Master Plan documents were created by consultants, AECOM, under Block's creative direction. These clearly delineated the vast components and processes of the project, articulating its sheer breadth and intent, directed at a council and ministerial level. Ongoing community engagement videos communicated to the general public the intent and progress of the development.